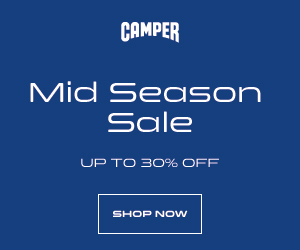 Dear Publishers, Enjoy up to 30% Off on selected Camper models from a wide range of footwear models (from formal to casual shoes, or sneakers) from our Fall/Winter 2018 Collection. Hurry up! This sale will only last from October 11 to October 21!